As the senior YouTube users, you must be so annoyed about the 20 to 30 seconds ads which can't be directly cancelled once it begins. Normally, these commercial advertisements are inevitable and adopted to recoup the cost of operation. It is ok if the content of ads is funny and attractive. But will you feel frustrated when you come across some unprepossessing promotion ads? Absolutely, yes! Let me explain in detail, if you plan to watch 10 videos on YouTube and assume that 20 seconds will be spent on each ad, you will take 200 seconds (more than 3 minutes) on playing ads regardless of buffering time. Beyond question, this kind of calculation is pretty astonishing. This is also why people begin to figure out how to watch YouTube without ads. It is true that many YouTube videos run paid advertisements before and during videos to generate additional revenue. So far, YouTube only allows users disable ads on their own videos that they have upload to YouTube. For other users, they can try to block YouTube ads with the help of the third party browser extension like "Skip ads on YouTube – No illegal block" for Chrome users and "Adblock for YouTube" for Firefox users. Suchlike add-ons are very useful and easy to handle. But, you must notice that the certain extensions and add-ons are only efficient for specific browsers. After you finish the installation, any YouTube videos you watch will be ad-free. Actually this way is more complicated for most of YouTube users. But if you are advanced users, you are suggested to have a try. Now, follow the next steps to turn off YouTube ads. A. Find out a video on YouTube. Internet Explorer: Press F12 and click on "Console." D. Hit enter button and wait for the command to finish the YouTube without ads operation. E. Close the developer console window. After all of works have done, any YouTube ads will stop playing so that you have chance to free stream videos with no ads on YouTube. As is known to all, the downloaded YouTube videos don't have any ads. Moreover, users don’t need worry about the network connect issue. But, the premise is figuring out the proper youtube offline downloader instead of browser extension. The same as the block ads extension, YouTube video downloading plug-ins also belong to the third party browser extension. Although the installation procedure is easy to operate, you will find some useless ads or malware installed on your computer in the installing process. Besides, this kind of browser extension will slow down your other progresses on the browser. So, the behavior of installing extension is really unworthy. On this occasion, a practical YouTube video downloader like MacX YouTube Downloader will easily solve various problems related to YouTube without ads. This is a totally free YouTube video downloader which has ability to help you effortlessly avoid of the interruption from ads on YouTube. Designed especially for Mac users, it is capable of downloading any videos from YouTube with different resolution and format including common YouTube videos or HD videos in 4K Ultra HD, 1080P and 720P. And then you can feel free to playback it on your computer or portable devices. Now, follow the below simple YouTube downloading guides for stopping YouTube ads. After download and installed this free YouTube Downloader on your Mac. Launch it and paste your wanted video URL. 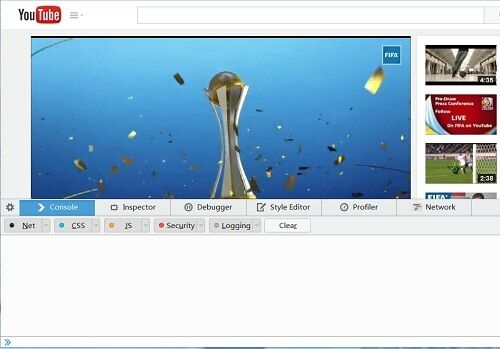 Then, click "analyze" to load the video information. Alternatively, you can click "paste & analyze" button to automatically detect YouTube video opened in browse. You are allowed to freely choose the video format, resolution and file size. Keep in mind, this YouTube video downloader offers you the ability to automatically add the output MP4 videos to iTunes Library for transferring to iPhone XS/XR/X/8/7/6/6 Plus, iPad Air 2 and many other Apple devices. Hit "Download Now" button to free download YouTube videos without ads. In general, this free YouTube video downloader provides you the best way to watch YouTube without ads as well as keep you far way from network congestion. Furthermore, no malware, virus and useless plug-ins make it far surpass the similar YouTube video downloader on the market. And if you want to convert the downloaded videos to the other popular video format like MP4, MOV, AVI, etc for streaming on mobile devices like iPhone 6/6 Plus, iPad Air 2/Mini 3, iPod, Android devices and more, the advanced version – MacX Video Converter Pro will bring you many surprises especially in video conversion due to its 370 video and audio codecs.